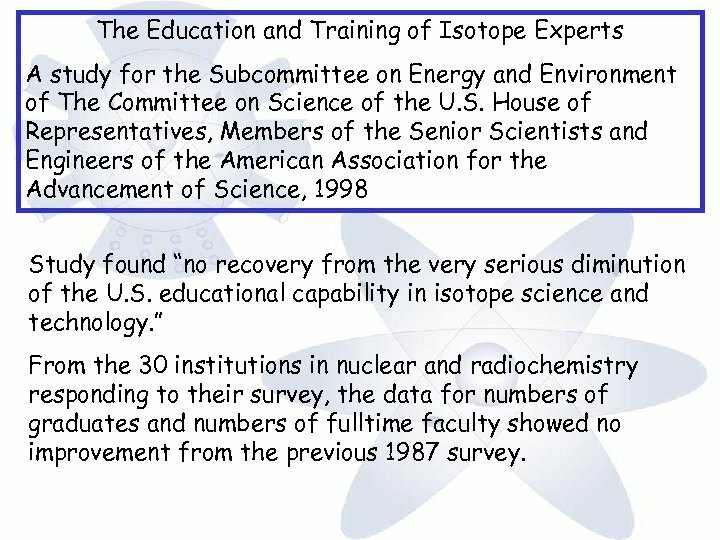 The Education and Training of Isotope Experts A study for the Subcommittee on Energy and Environment of The Committee on Science of the U. S. House of Representatives, Members of the Senior Scientists and Engineers of the American Association for the Advancement of Science, 1998 Study found “no recovery from the very serious diminution of the U. S. educational capability in isotope science and technology. 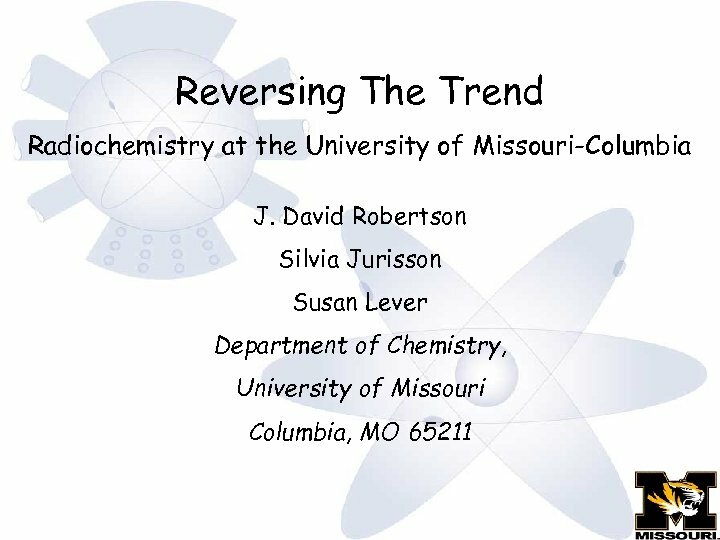 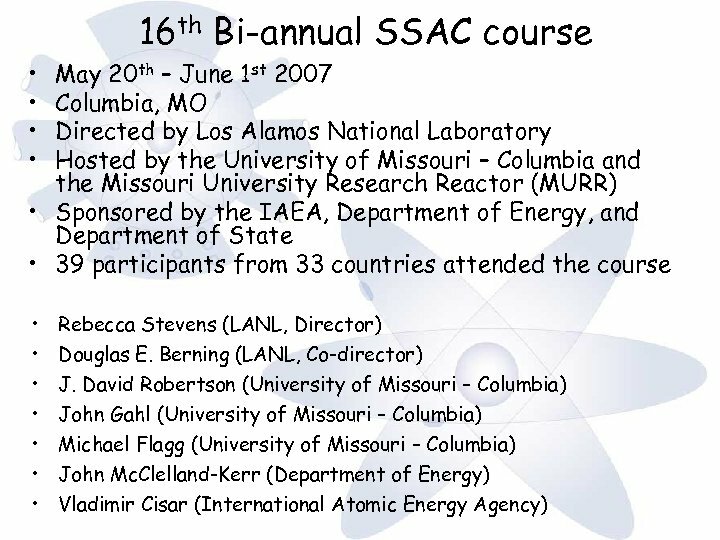 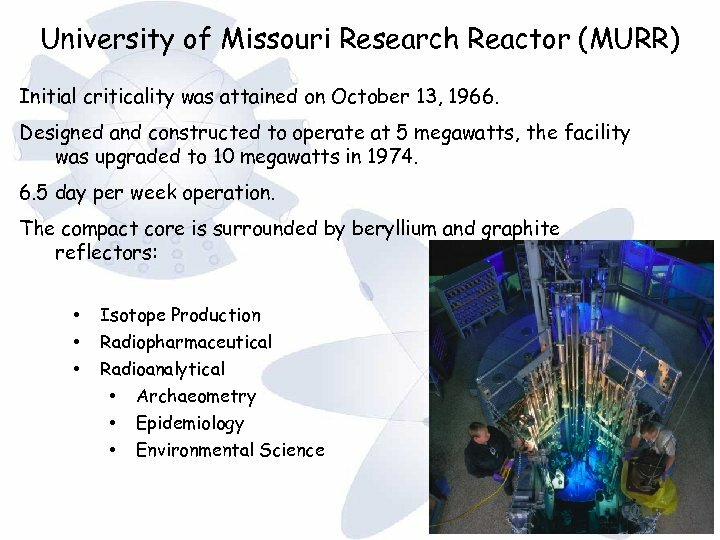 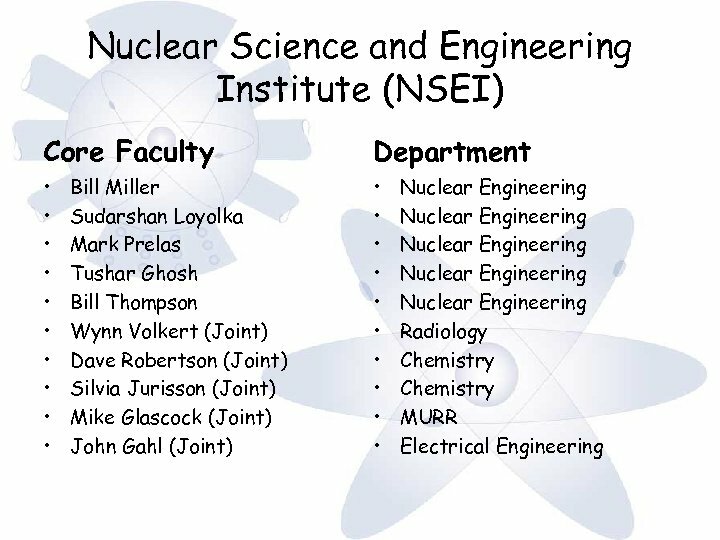 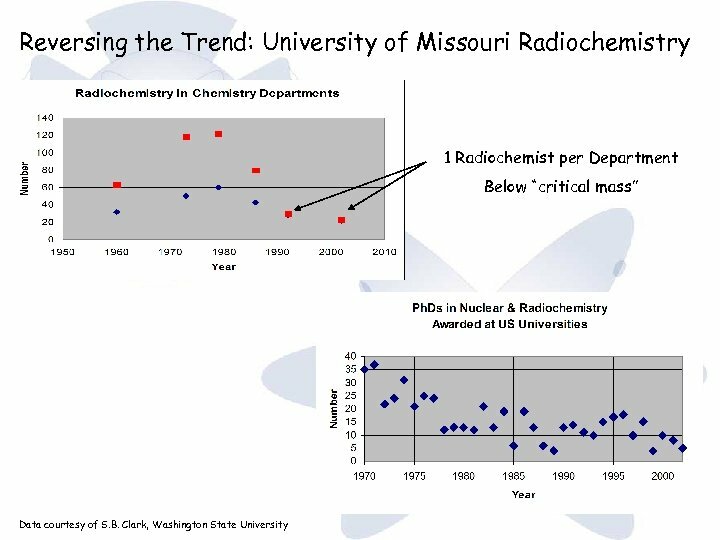 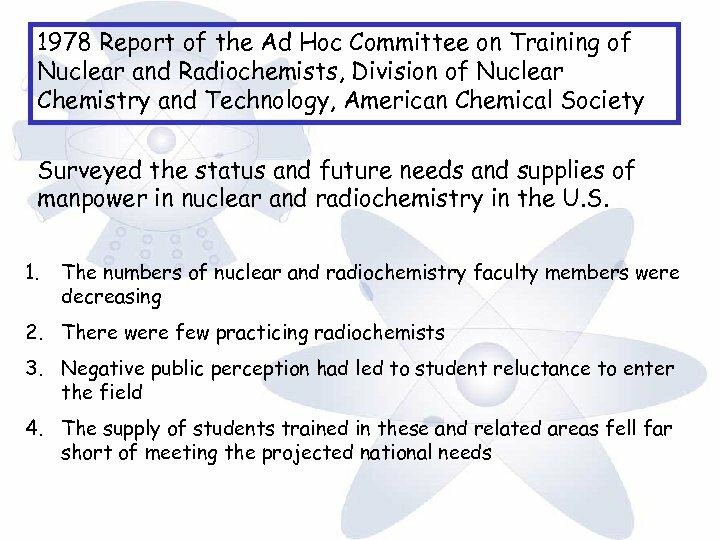 ” From the 30 institutions in nuclear and radiochemistry responding to their survey, the data for numbers of graduates and numbers of fulltime faculty showed no improvement from the previous 1987 survey. 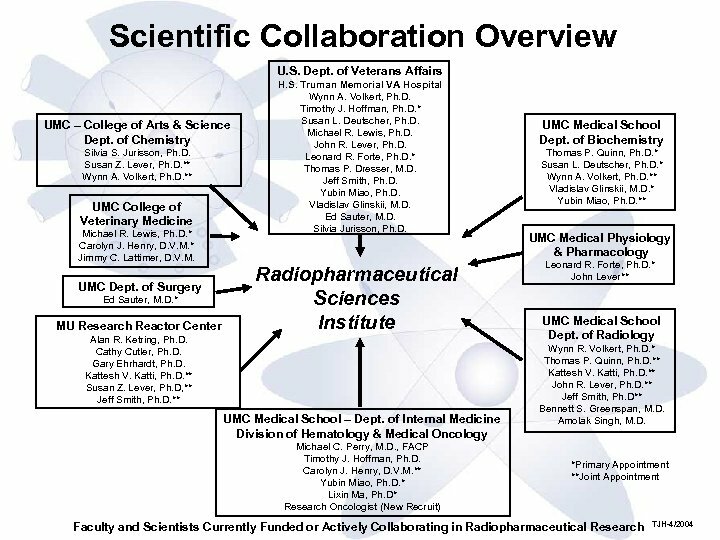 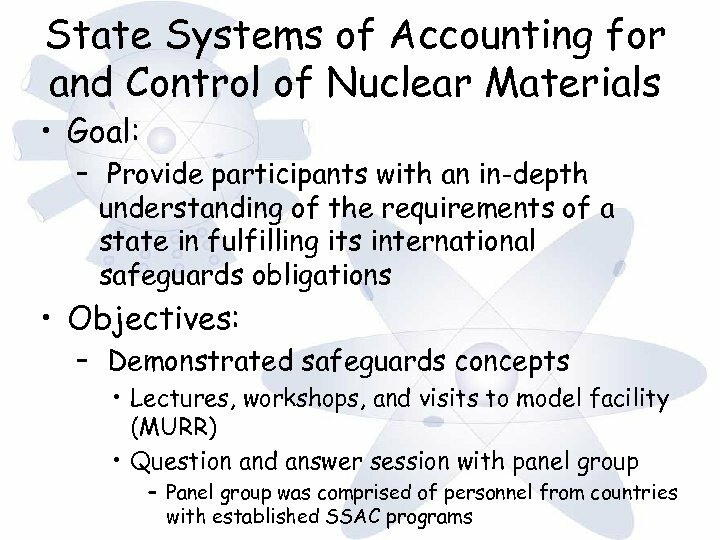 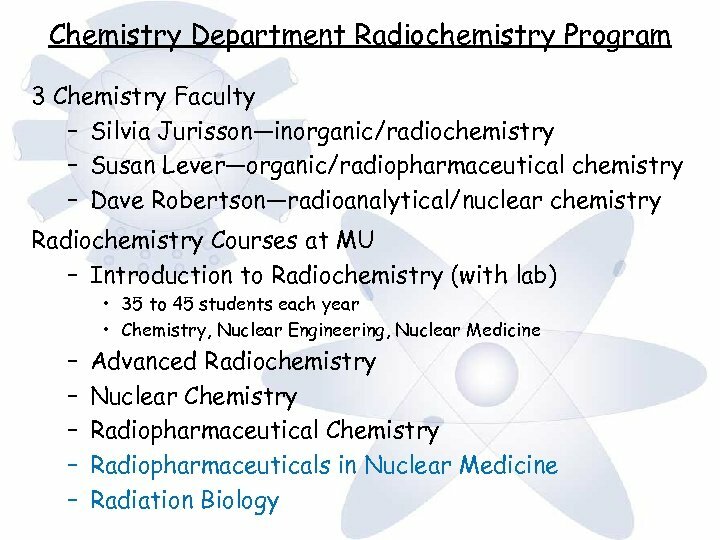 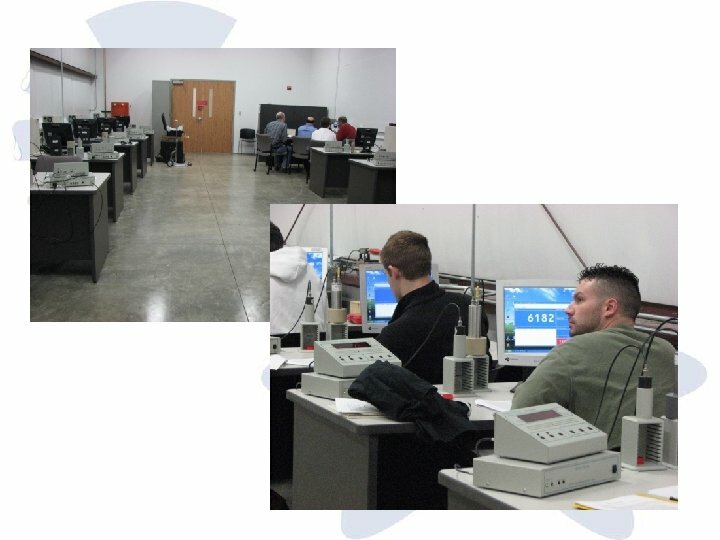 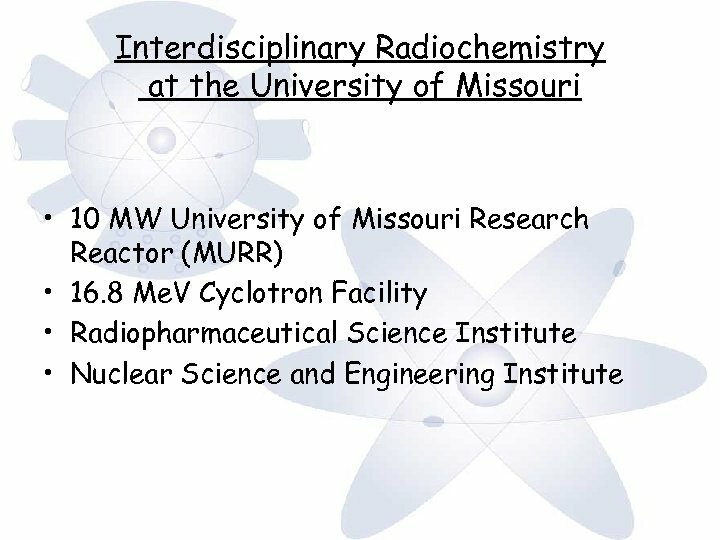 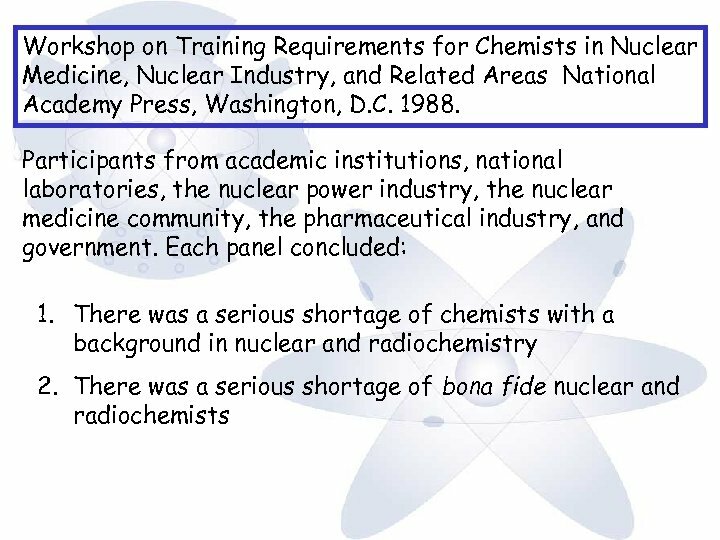 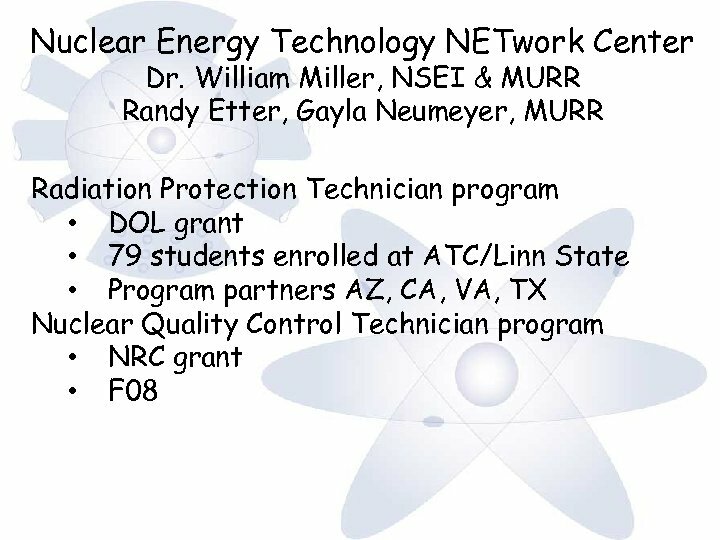 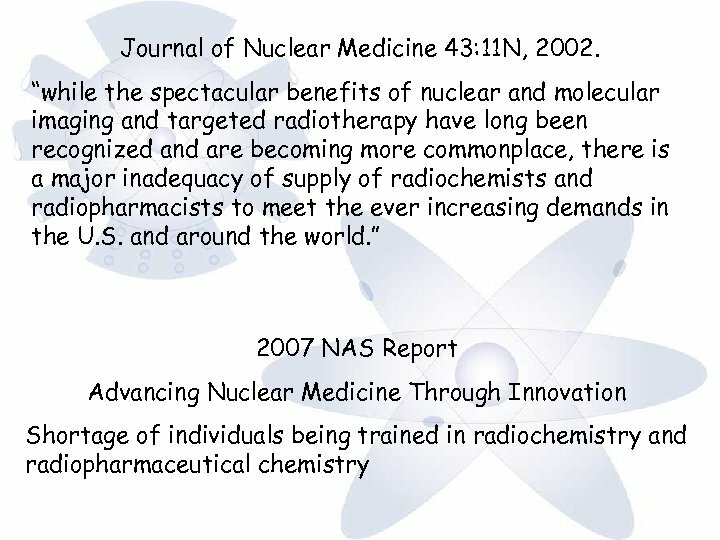 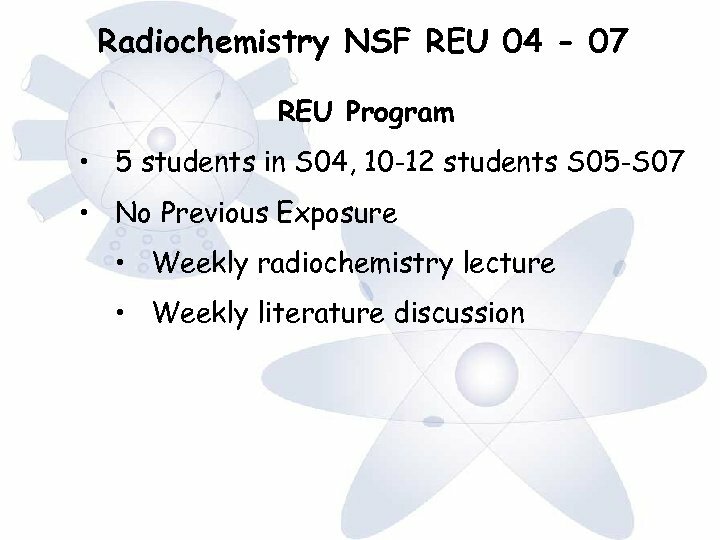 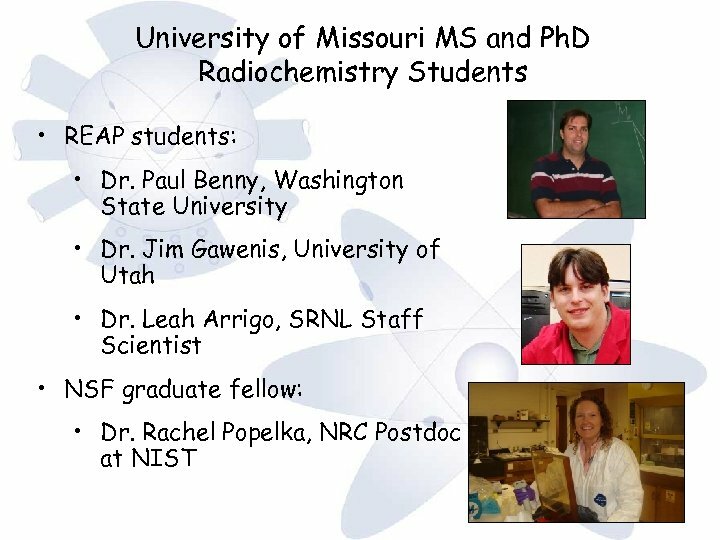 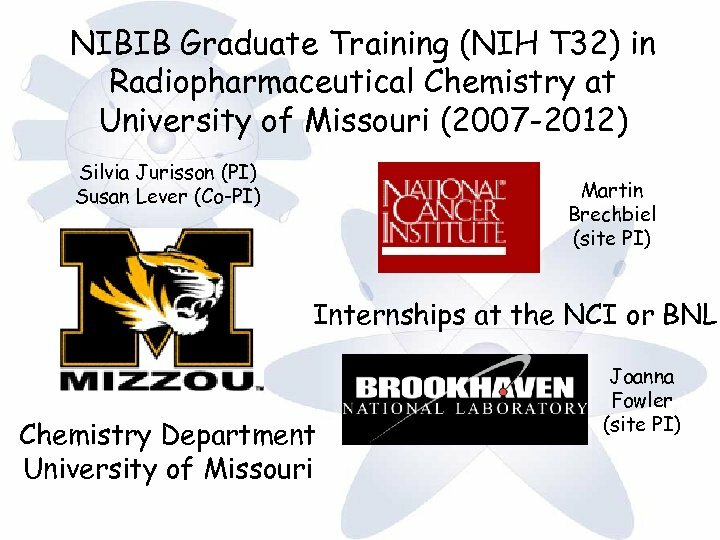 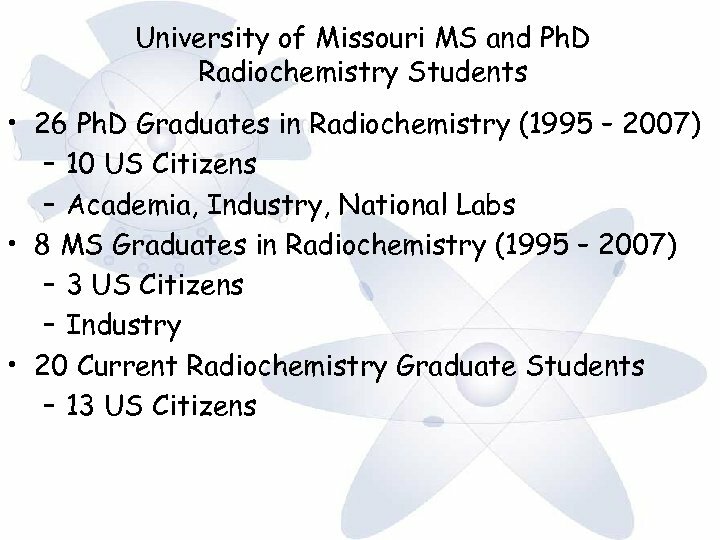 The 2008 Survey of Graduate Education and Manpower Needs in Nuclear and Radiochemistry? 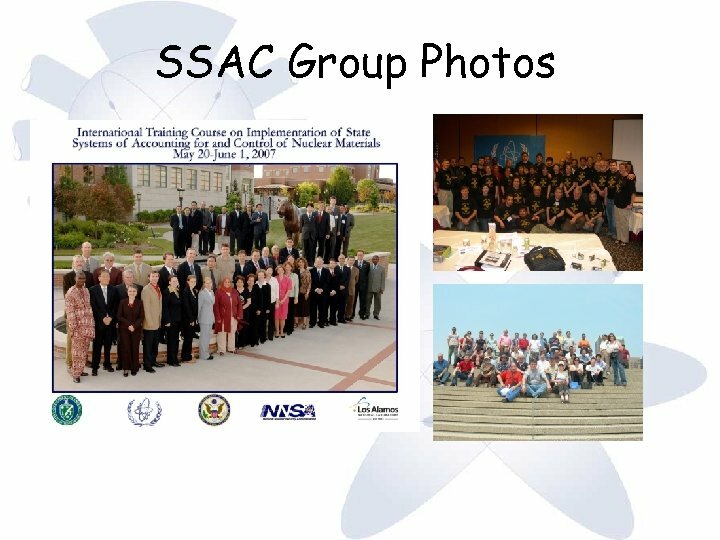 Slide 1 /classes/BMS 524/2010/© 1993 -2012 J.